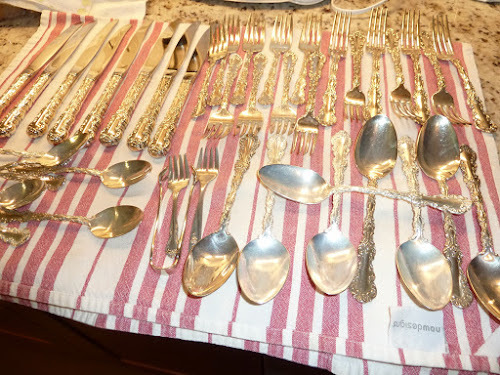 I cheated with the silver this year and used my mothers silver cleaning plate. 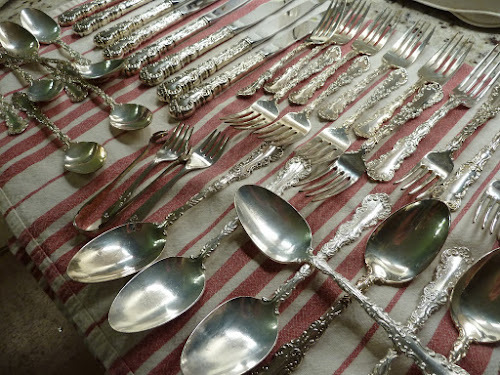 I really enjoy cleaning silver, and like to leave tarnish in the grooves...a nice old patina. However, I am running out of time, so the plate it is. I must say, it sure looks clean!! The flash created this gold shine. I love it. Let's all pretend that my old battered silver is actually gold!! No flash...and the silver as it actually looks.